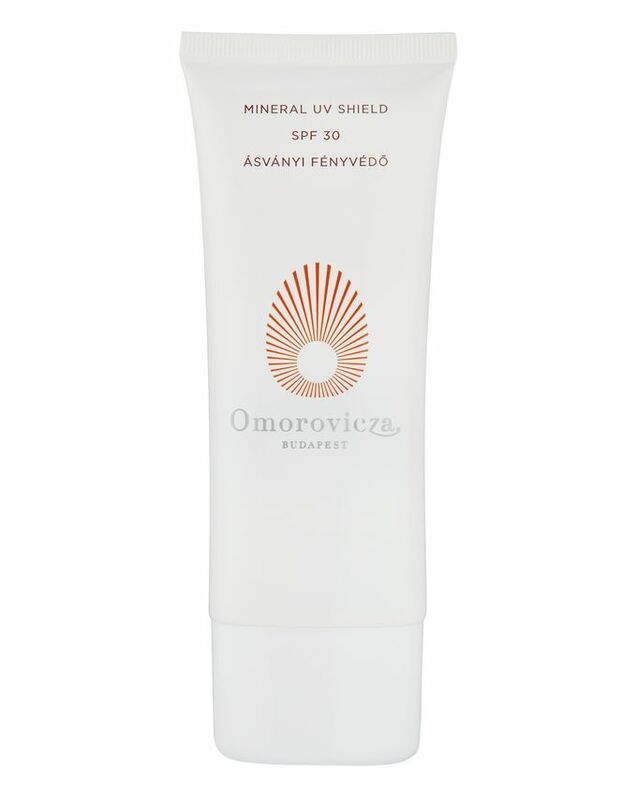 A revolutionary daily sunscreen, Omorovicza’s Mineral UV Shield SPF 30 has a weightless, non-suffocating formula and leaves no chalky residue, to protect and strengthen your complexion without clogging pores or exacerbating congestion. 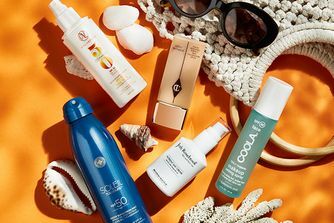 Suitable for all skin types, zinc oxide and titanium dioxide combine to physically block the sun’s rays (UVA and UVB), whilst blurring imperfections and unifying tone, so skin looks semi-matte with an enviable, soft-focus finish. Omorovicza’s innovative Mineral UV Shield SPF 30 offers full, broad-spectrum protection while feeling feather-light on the skin. Silica spheres encapsulate titanium dioxide, to glide effortlessly over the surface of your complexion – blurring fine lines and blemishes with a velvety, soft-focus finish, whilst creating a physical barrier between your complexion and the DNA-damaging effects of UV rays. A perfect make up primer, just apply to clean skin before make up – and reapply every two hours to guarantee optimal sun protection. High molecular weight sodium hyaluronate then creates a barrier against attack from more aggressive pollutants, while encouraging moisture retention so skin feels plump and dewy. Vitamin C provides antioxidant protection, inhibits tyrosinase (responsible for melanin production and in turn, age spots) and helps to maintain elastin and collagen levels, while apple fruit extract reduces glycation of proteins (when sugars damage protein chains, contributing to collagen degradation and skin sagging) and soothes inflammation, so skin becomes stronger and more luminous and more resilient. Omorovicza has combined Hungary’s 2,000 year-old skin wisdom – harnessing the powerful rejuvenating properties of the country’s unique thermal waters and mineral-rich muds – with cutting-edge scientific innovation in a Nobel Prize-winning laboratory. Apply the Mineral UV Shield SPF 30 before exposure to the sun. Must be re-applied every 2 hours and after going in water. It can be worn alone or under foundation. Aqua (Hungarian Thermal Water), Caprylic/Capric Triglyceride, Zinc Oxide, Silica, Squalane, Glycerin, Ethylhexyldodecanol, Stearyl Heptanoate, Cetearyl Olivate, Cetearyl Ethylhexanoate, Titanium Dioxide, Sorbitan Olivate, Phenoxyethanol, Ascorbyl Tetraisopalmitate, Cetearyl Alcohol, Saccharomyces (Hungarian Thermal Water) Ferment Extract, Polyhydroxystearic Acid, Disodium EDTA, Alumina, Sodium Hyaluronate, Parfum (Fragrance), Prunus Armeniaca (Apricot) Kernel Oil, Tocopherol, Ethylhexylglycerin, Isostearic Acid, Lactic Acid, Xanthan Gum, Phospholipids, Linalool, Limonene, Citral. I had great hopes in this sunscreen. Unfortunately it was a big fail. I can‘t stand the smell - awful and it broke me out. I ordered a sample of the sunscreen before I bought the full size, unfortunately, it left a white cast on my face and I felt that it dried out my skin - my skin tone is olive. It's the only sunscreen that doesn't break me out. Wish it was cheaper. I was reluctant to buy this cream as it's quite expensive but you get a lot for your money. I've been using it daily since October and my skin is getting better every day. I have oily skin with visible pores and regular breakouts, but this cream hasn't worsened it at all. I use it in the morning after Sunday Riley Ceramic Slip cleanser and I'm good to go until the evening! It does leave a slight residue and I'm not sure how it would sit under make up (the cream is that good I feel confident enough to go without it). I'd definitely recommend it to those with similar skin concerns. I love the way this applies over moisturizer and under make up, it doesn't feel heavy or greasy on the skin making it easy to add into your daily routine. My only gripe is how quickly it comes out of the tube, it literally spews out as soon as you remove the cap! It is not the cheapest sunscreen out there but so far is the only one that has worked. I tend to hate using sunscreens because my skin feels greasy or I have major breakups, but not with this one. It is light enough to not congest the skin and so far it seems to work fine. This spf is honestly my best beauty discovery of this year so far! It is light, matte, leaves absolutely no white cast (which does not happen that often with mineral sunscreens!) and sits perfectly under makeup!!! The ingredient list is very nice too! Now, the one downside I can find is that it does contain fragrance, but it dissipates within half an hour or so (and mind you, I am very sensitive to scents, so it may be just my nose). I love Omorovicza products and tried, purchased or repurchased like for 10 years few of them. But was very reluctant about this sunscreen (as I used to use SkinCeuticals mineral). And finally I purchased this item. As for now I think it's the best sunscreen with SPF30 you can buy. Light but not runny texture, fully absorbed in a minute, no white cast, perfect feeling and appearance with light blurring (as titanium dioxide particles are in silica). Definitely will repurchase. This is the best sunscreen I have ever came across. I live in a humid tropical country and this sunscreen gives good sun protection with Matt finish. It's lightweight and undetectable under makeup. Lovely texture and smells fantastic. Will repurchase this over and over again. Plus points for non-toxic ingredients!!! I don't use the word perfect very often because this devalues it, but it really does sum this product up. SPF is the adult equivalent of eating your greens as a kid; you know it's good for you but it's annoying. 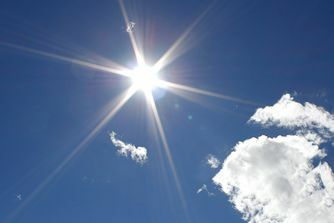 What I've always found tiresome with SPF is 'feeling' it on your face all day, making you sweat more. UV Mineral skin shield also uses Zinc Oxide, the most effective UV protector because it reflects the UVA/UVB rays rather than absorbing them like the cheaper chemical sunscreens. Zinc Oxide is traditionally what made you look like a poor-man's Queen Elizabeth the first on the beach in the 80s and 90s. Omorovicza have managed to make a natural formula that protects like wearing a hat, but once you'd applied it it disappears into your skin. If you were a forgetful person you might end up applying it twice it's so invisible. I don't know how they do it, but I love that they do. It's like discovering you like broccoli!! I have sensitive, flake - and acne-prone skin. I wanted a good sunscreen for this spring/summer, and I have to say I love this one. I also use the Zelens daily defense, but I wanted a pure sunscreen. This feels so smooth on the skin and wears very well under makeup. I did not have any breakouts or irritation. It also did not dehydrate me in the least, and I'm very dehydrated. Highly recommend. This gives a much more matte finish than the Zelens, but is also less moisturizing.